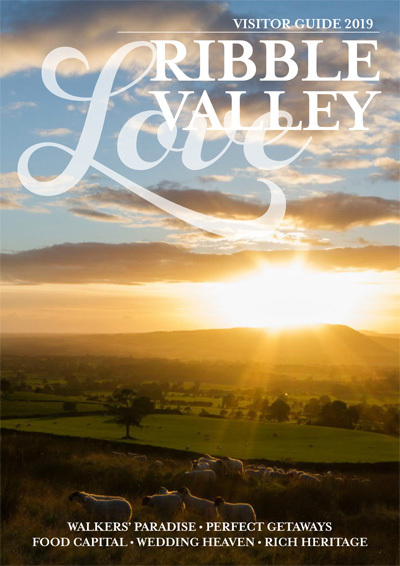 Ribble Valley is the perfect place for you to escape the frantic pace of every day, whatever the time of year. Forget those diaries and deadlines and head straight to your perfect getaway that's waiting to be discovered. Savour the fresh flavours of tempting treats and feasts for food lovers as Clitheroe develops as Lancashire's Food Town and Ribble Valley is fast becoming known for our local culinary delights and first class hospitality. Try the Ribble Valley Food Trail or perhaps come and sample the Clitheroe Food Festival in August. As you journey through this website you'll unearth everything there is to know about planning your perfect holiday or short break in rural heaven. 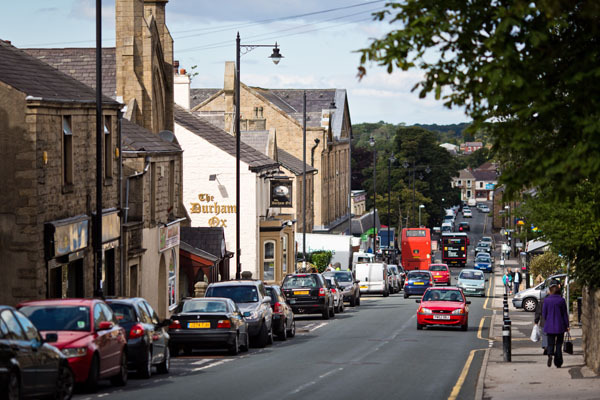 Clitheroe is a vibrant market town with a bustling high street and side streets full of character, revealing independent shops, galleries and eateries and more. Offering panoramic views over the area, Clitheroe Castle crowns the town from an elevated position. Down below, there are countless places to discover—whether you enjoy browsing the shops, arts and culture, delving into history or sampling fantastic food and drink. Clitheroe is certainly a place to add to your must-visit list. 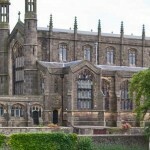 Clitheroe excels in providing a high-quality, super-stylish and independent retail experience. If it’s fashion, shoes and accessories you’re looking for, the town hosts a range of boutiques selling designer brands for men, women and children—including country-wear ideal for exploring Pendle Hill and beyond. From Cowman’s sausages to D Byrne & Co’s wines, to locally-crafted homeware from the Emporium, the town’s independent outlets offer a shopping experience that showcases the very best of Ribble Valley quality and handicraft. While walking through Clitheroe, you are bound to notice the aroma of freshly-ground coffee which emanates from the delightful Exchange Coffee: a traditional tea and coffee shop which takes its customers a step back into a golden age. Here you can choose from a vast array of beverages, meals and nibbles. Aside from Clitheroe’s many cafés, there are countless bars serving ﬁne wines, locally-brewed beers and deliciously cool cocktails. One of the most popular venues is Holmes Mill, a former textile mill which has been transformed into a food, drink and leisure hub. Home to Bowland Beer Hall and a Food Hall bursting with delicious local produce, the complex also has a gelato parlour, patisserie café, and the Spinning Block Hotel. Great for family-friendly dining is the nearby Emporium, a lavishly-converted old Methodist chapel comprising three expansive storeys for eating, drinking and shopping. Here Parisian café culture meets relaxed wining and dining, along with a luxury interior shopping experience. All in all, Clitheroe has a restaurant to tempt any tastebud, spanning from Greek to Italian to American cuisine. Clitheroe is also home to an early medieval castle which has been lovingly preserved and developed over time into a fabulous hub of history. While the interactive museum seeks to inform many a visitor, the creative outdoor play zone serves to entertain the kids. Not to be forgotten are the splendid 16-acre castle grounds, which host a bandstand, playground and Lancashire’s one and only labyrinth. As well as ascending to the castle keep and admiring the breathtaking views, there is the option to discover even more of Clitheroe’s heritage by taking part in the exciting Town Trail. The mile-long walk suitable for all the family takes you on a journey across time and place, from the 19th century market place, to rows of Victorian terraces, to pubs dating back to the 16th century. 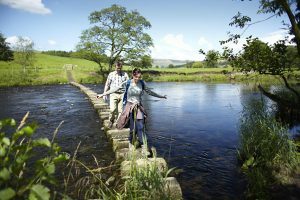 If you fancy using Clitheroe as a starting point to explore further afield, then the Ribble Valley Sculpture Trail is the adventure for you. Launched in 1993, this trail incorporates over 20 different works of art, taking you through woodlands, grasslands, Brungerley Park and Cross Hill Quarry. Not only will you enjoy views of the AONB Forest of Bowland, but you may also spot some fascinating local wildlife—kingfishers, otters and many more! One of the main events of the summer months is the Clitheroe Food Festival, a free-to-attend family day which exhibits the ﬁnest of Lancashire’s food producers. For fans of music, the Ribble Valley Jazz and Blues Festival is another superb addition to your diary, now recognised as one of the county’s best musical extravaganzas. Also worth a watch is the Last Night of the Proms, a stunning summertime celebration of British music and culture. Two further events of interest are the annual Mod Weekender, which brings hundreds of scooter aficionados to town, and the Ribble Valley Beer Festival, where beer and ale lovers flock together to celebrate the finest of local brews. Finally, bespoke events take place on a regular basis at Holmes Mill, from private weddings to public jam sessions. There really is something for everyone to enjoy. For a marvellous mix of live entertainment and culture, it’s worth paying a visit to The Grand. Since opening its doors in early 2008, the state-of-the-art venue has diversified its programme and gained its name as one of the North West’s best-loved medium-size cultural venues. Soon to be opened in 2019 is, furthermore, Holmes Mill Cinema, where there will be film screenings suitable for audiences of all ages. 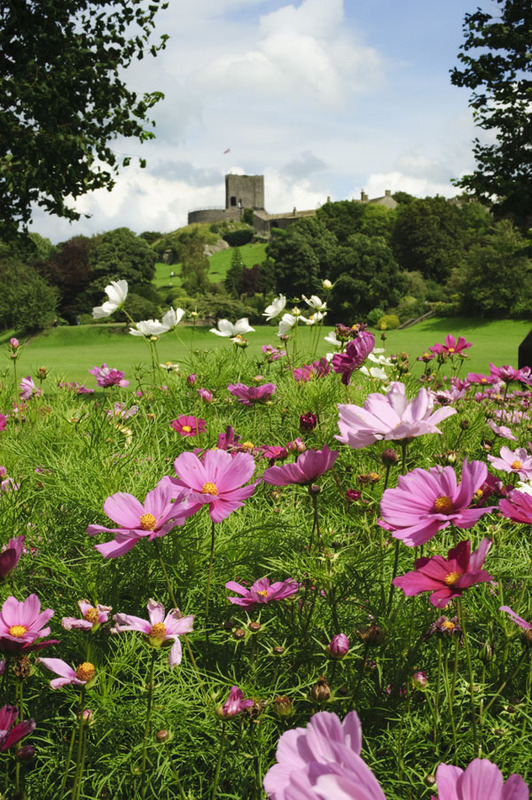 If you’d rather make the most of the great outdoors, you can find parks and picnic places throughout Clitheroe. Edisford Bridge, for example, boasts one of the prettiest riverside spots in town, equipped with tables, a miniature steam railway, and an ice cream van. Plus there’s plenty of clear, fresh water in which to paddle, of course! Clitheroe’s very own beach never fails to please. If you want to find out more about the thriving market town of Clitheroe and what there is to see and do here, simply head to the Platform Gallery, where a qualified guide will provide you with all the information you’re looking for. Nestled at the foot of Whalley Nab, alongside the River Calder, lies the village of Whalley. It’s a place steeped in history, rural charm and natural beauty. One of the village's most popular places to visit is Whalley Abbey, a former Cistercian monastery dating from the 14th century. 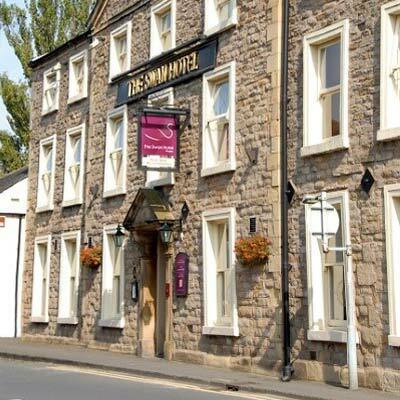 Today, its stone walls surround a stunning conference centre and retreat including a coffee shop and exhibition centre. 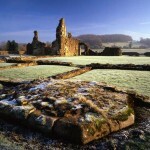 While the expansive grounds are open for exploration by day, the Abbey also offers four-star overnight accommodation. Another visitors’ delight is St Mary & All Saints Church, where a stroll through the pretty churchyard reveals three Saxon crosses dating from 628 AD. Many centuries later, in 1850, construction of the Ribble Valley’s viaduct was completed with the aim of carrying the railway over the River Calder. Visible from the streets down below, the viaduct is the longest in Lancashire and has become a landmark of the Ribble Valley. They say good things come in small packages—this certainly applies to the village of Whalley. Along the main street and cobbled side alleys there are numerous restaurants, bistros, wine merchants and delicatessens just waiting to be discovered. In fact, the village offers some of the finest dining experiences in the Ribble Valley, ranging from afternoon teas to authentic Italian restaurants. 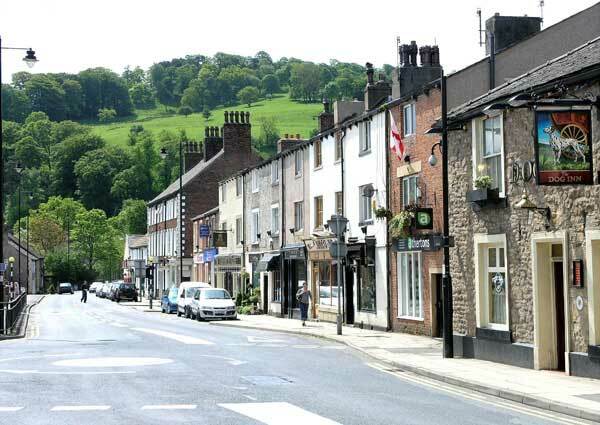 As well as its café and culinary culture, Whalley has a thriving retail scene. Dotted throughout the village are—among others—exquisite jewellers, hair and beauty salons, and designer clothing boutiques. Worth a special mention is the multi-award-winning outdoor clothing specialist Whalley Warm & Dry. Here you will find highly-qualified staff who not only provide expert advice, but also measure and adapt walking footwear for optimum comfort. 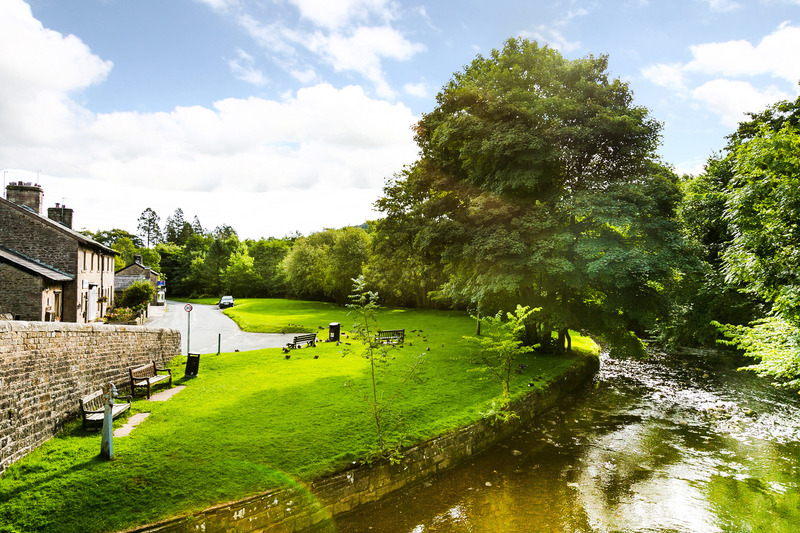 In addition to charming grade II listed cottages and quaint alleyways, Whalley has an unrivalled natural beauty. Within walking distance lies, for example, Spring Wood—a once monastery-owned woodland that now hosts many a family picnic, forest walk and ice cream purchase! What makes Spring Wood so special is its rarity; as a semi-natural ancient woodland dating from before 1600, it is one of the very few areas of greenery from this time that were not cleared to make way for agricultural land. Another unique aspect of the wood is its location; from no other place in the Ribble Valley are the village of Whalley and the iconic Pendle Hill so easily visible and explorable. 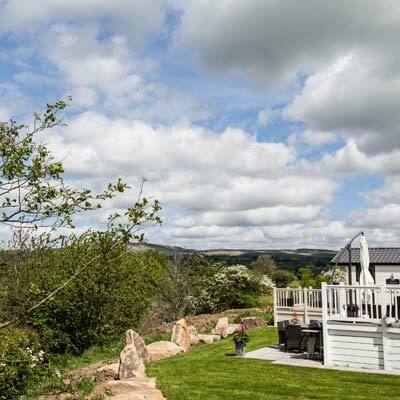 Longridge is so aptly named as it sits on the hilltop, on a long ridge, with stunning views across the surrounding countryside. The best place to begin your visit is the Old Station which has been carefully converted to house the Heritage and Visitor Centre, along with a café. Open from 10am to 4pm Monday to Friday Here you can find out about Longridge’s fascinating history, browse the old photographs on the town archive, or view one of their regularly changing exhibitions. 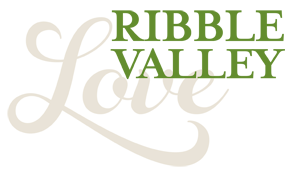 You will be able to pick up local walking guides, history trails and a variety of information to help you discover more about this attractive town. Much of this former cotton mill town was built from the distinctive sandstone quarried locally, and so much of the town has remained largely unchanged in appearance since the 1800s. One of the most significant places in the Town is Club Row, a row of twenty solid workmen’s cottages built when Longridge was just a village, and textiles were the big employer. A blue plaque explains their significance and this terrace, erected between 1774 and 1804, and is believed to be the oldest surviving example of properties built by a buildings society in the world. The main street, Berry Lane is very much the hub of the town with a thriving selection of shops where you will discover a wide variety of charmingly unique art, crafts, homeware, jewellery, gifts, designer clothing, shoes and accessories. There is a pleasant blend of longstanding family businesses and more recent arrivals. Up at the very top of the town is the Dog Inn, a well-established landmark in the town but another business which has enjoyed recent investment. The owner here too believes in investing in quality, having recently refurbished this iconic building to make it even more welcoming to visitors. Commanding fantastic views over the town and surrounding countryside, The Dog Inn is a warm and cosy gastro pub, with a modern contemporary feel, complete with open log fires. 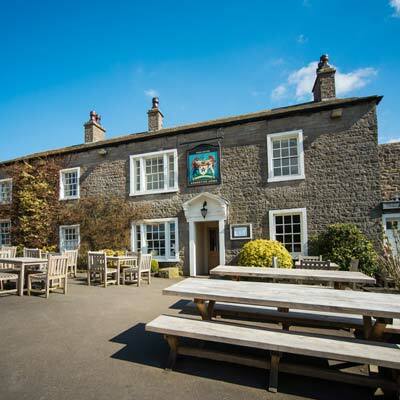 Another welcoming Inn, located just on the outskirts of Longridge, is the Derby Arms, its atmospheric tap room, feature fireplaces and larger central bar create a series of ambient spaces perfect for drinks with friends or a special dining experience. If you are seeking self-catering accommodation in the heart of the nearby open countryside then the Shippon and Meadow cottage are two good examples of the beautifully appointed, quality properties available to let for short breaks or longer holiday. 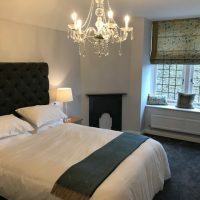 Recognising the growing popularity of the area for tourism, The Dog Inn has created luxury holiday apartments that will provide an ideal base for visitors wishing to spend time exploring the gateway to the Forest of Bowland. Longridge is lucky enough to have one of Lancashire’s quirkiest cinemas, the Palace, which started life as a weaving shed and during its time has been a music hall, roller skating rink, a bingo hall and, finally a cinema in the 1970s. The cinema has recently refurbished in a clever restoration which retains the character of the building whilst hosting a modern and diverse range of entertainment. Owner Lara Hewitt has been keen to retain some of the old-world charm of the cinema where hot tea is still served in real mugs and the national anthem is played before each film. Ribble Valley is very lucky to host one of the last remaining independent cinemas. Each year Longridge plays host to an annual art event called ‘Create Longridge’ which invites artists to capture local life in one day. All the artists have to paint within a 3-mile radius of Longridge town centre and do so in a publicly accessible space, so visitors can see them at work. Artists produce landscapes, street scenes and abstracts. In addition, there are a wide range of fringe events including the fabulous work of Longridge’s textile enthusiasts and children’s art classes. Everyone is welcome to come along and interact with some of the region’s most creative and talented people, to enjoy all that Longridge has to offer and have a fun day in the beautiful Ribble Valley. Designated as an Outstanding Area of Natural Beauty the Forest of Bowland is a unique and magical place in the Ribble Valley. The distinctive character and natural beauty of the area form some of the most distinctive and important landscapes in the United Kingdom. Every season brings into this area its own colours and atmosphere and it becomes possible to escape into the peace and tranquillity of these truly beautiful places year round. The Forest of Bowland was designated as an AONB in 1964 and covers over 312 square miles of rural landscape. It is home to a wide range of flora and wildlife plus contains numerous historical and cultural associations. Much of the area is important for the breeding of upland birds and notable wildflower meadows and woodlands are present. 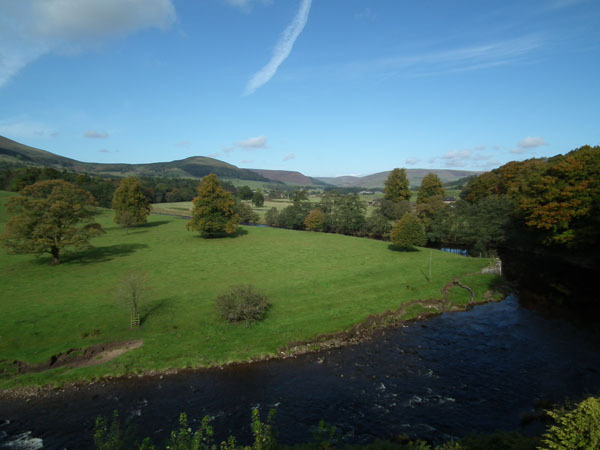 The role of people in the Forest of Bowland is also an important and attractive aspect for the area. The Living landscape has been formed over centuries due to the close relationship between human activity and the land, from dry-stoned walls, hedgerows and barns, to open moors and grazed fields. The local food and drink produce is important for supporting the many farmers who manage the beautiful landscape and supporting the local economy. The main importance for the Forest of Bowland, as a source of support for people’s livelihoods and enjoyment, and as a unique and protected landscape, is to remain a place to enjoy and keep social. A full list of events can be found in the Festival Bowland programme. 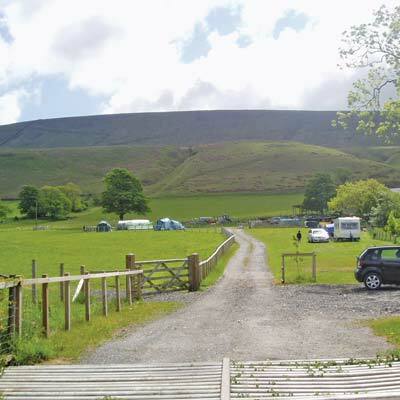 The majestic Pendle Hill towers over the picturesque towns and villages of East Lancashire and Ribble Valley. For generations this iconic landscape feature has been an inspiration to both visitors and local people. One of the most famous was George Fox; the founding father of the Quaker movement, who revealed that it was here in the early 1600s where he was inspired to start what is now a worldwide religious movement. Fox wrote: “As we travelled, we came near a very great hill, called Pendle Hill, and I was moved of the Lord to go up to the top of it; which I did with difﬁculty, it was so very steep and high. When I was come to the top, I saw the sea bordering upon Lancashire. From the top of this hill the Lord let me see in what places he had a great people to be gathered.” Today Pendle remains strongly linked to the Quakers, giving its name to one of their centres for religious and spiritual study and contemplation near Philadelphia, Pennsylvania, in the United States. 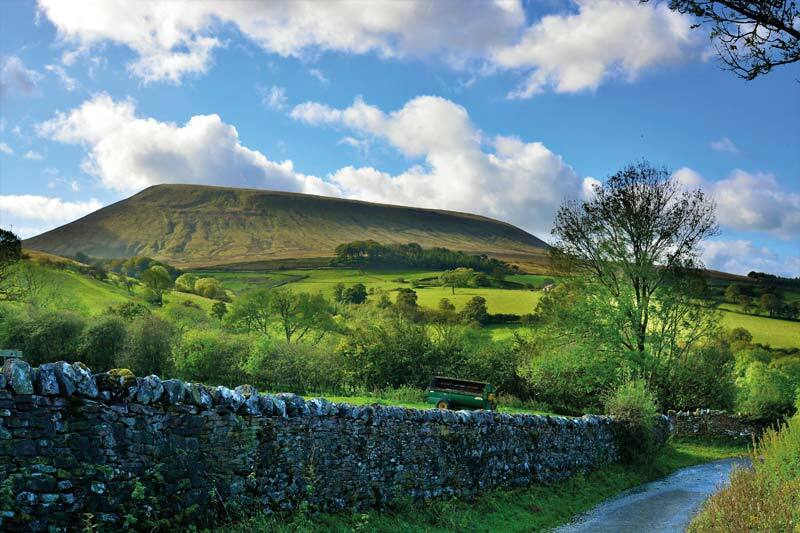 Pendle Hill is an exhilarating and fantastic walk. Astonishingly, on a clear day and just off the summit, you can see Blackpool Tower and the sea. Regular climbers of Pendle report that on clear days you can also spot the Welsh landmark of Penmaenmawr. And from the 557-metre summit you can see two of Yorkshire’s famous three peaks - Ingleborough and Whernside. There are several routes to the summit, one of the most popular starts in the pretty village of Downham where you will also ﬁnd the Assheton Arms, for ‘fuelling up’ for the jaunt. Pendle Hill’s relative isolation on the edge of the Pennines and the Bowland Fells makes it appear very dominant in the landscape. A multi- million-pound Heritage Lottery award has set in motion an exciting scheme of improvements to create enhanced access to the hill along with better interpretation aimed at unlocking some of the legends and secrets yet to be discovered.